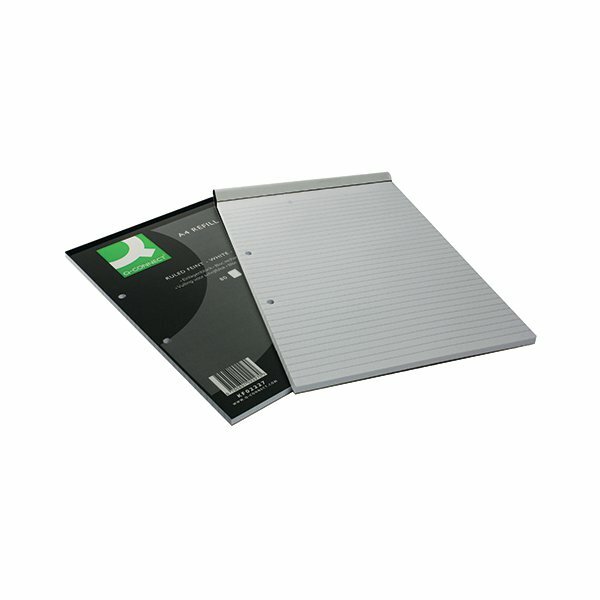 This quality bulk refill pad contains 160 pages of 60gsm paper for all your general note taking needs. The front cover protects your notes from dust and damage and the pages are feint ruled for neatness. The pad is sidebound and two-hole punched, allowing you to easily remove your notes and file them in a lever arch file or ring binder. This pack contains 10 x A4 pads.